In Pasadena, motor vehicle accidents are the leading cause of personal injury. 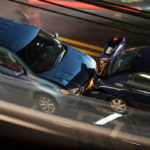 More often than not, car accidents are caused by the negligence of a neighboring driver. If your vehicle accident is someone else’s fault, then you may be entitled to receive compensation for any medical expenses and lost wages. You can also receive compensation for pain and suffering, including both physical and emotional injuries. An experienced car accident attorney can help you determine a fair settlement value and maximize your potential leverage. When researching lawyers for motor vehicle accidents, you should look for a firm with experience in all aspects of personal injury law. Our attorneys are knowledgeable about California personal injury law and will fight for you throughout each phase of the legal process. For over 30 years, the attorneys at the Law Offices of Andrew Ritholz have been providing legal services to people suffering from car accident injuries. Our law firm has collected millions of dollars for our personal injury clients. If you are in need of effective and compassionate legal representation, then we are here to help. We will listen to your needs, analyze your case and develop a sound legal strategy that wins you a favorable financial settlement. By selecting the Law Offices of Andrew Ritholz as your legal representation, you are gaining access to a professional car accident attorney who has experience and clout in the field of personal injury law. What Are Common Causes of Vehicle and Traffic Accidents? Texting and driving. According to the National Safety Council (NSC), 25 percent of all automobile crashes involve negligent drivers using their cell phones. Whether the driver is texting or talking on the phone, either action can severely limit one’s ability to respond to outside stimuli and heighten the risk of causing an accident. Alcohol consumption. The National Highway Traffic Safety Administration (NHTSA) reports that alcohol played a role in nearly 40 percent of all vehicle fatalities in the United States. Being under the influence creates a host of physiological problems that make driving a difficult task, including slower reaction times. Accidents from drunk driving typically cause more serious injuries than accidents where no alcohol was involved. Driving while fatigued. The majority of Americans are not getting an adequate amount of rest or sleep. Driving while fatigued is a serious problem that creates dangerous conditions for you and neighboring drivers. Not only are you more likely to fall asleep at the wheel, but your reaction times are also slowed. Driving while fatigued increases the likelihood that you will be involved in a traffic accident and suffer a serious injury. Inattentive or reckless driving. In California, many automobile accidents are caused by drivers who simply do not pay attention while behind the wheel. Common examples of negligent behavior are changing lanes without looking, running red lights and failing to stop at stop signs. This behavior can lead to motor vehicle accidents that cause irreparable physical damage. How Can I Defend My Interests in Settlement Negotiations? After being injured in a car crash, it is recommended that you file a claim with the car insurance provider of the at-fault party. You will find that the process of dealing with the defendant’s insurance company — or even your own insurer — can be particularly complicated and intense. There are often instances where outside entities will try to interfere with your healing process. It is important to remember that insurance companies stay in business largely because they pay out as little as possible to people who file claims after a motor vehicle accident. They will always find ways to limit vehicle accident claims. This is why retaining the services of an experienced personal injury attorney is highly recommended. An experienced attorney can help you eliminate stress by handling negotiations with insurance companies on your behalf. He or she can also assist you by finding immediate and appropriate medical care to treat your injuries. Along with insurance negotiations, our Pasadena auto accident lawyers can help you by conducting research and assessing the extent of your injuries. Performing the necessary research makes it easier for your attorney to negotiate on your behalf and potentially avoid a lengthy legal battle. 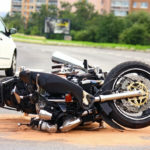 Often, insurance companies will want proof of the severity of your injuries. A good vehicle accident attorney knows to consult with medical professionals and traffic experts to prove that your injuries are legitimate and were caused by the accident in question. By reviewing police reports, examining medical documentation and investigating the accident scene, our accident lawyers are able to construct a successful case that gets you the financial compensation you deserve. Although having an experienced attorney is important, many people worry about the affordability of a hiring a lawyer. At our law firm, we always work on a contingency fee basis. That means we do not make money unless we win your case. By working on a contingency, we are able to gain your trust and ensure that we are both working towards a mutually beneficial goal. If you have been injured in a motor vehicle accident and suffered serious harm, then please call the Law Offices of Andrew Ritholz today at 800-950-9688 to schedule a consultation. You can also use our online contact form to send us a message about your case. We can answer all of your questions as well as give you legal advice about your case.